If you or a loved one are suffering pain from a knee injury, ACL tear, or other injury, we offer a range of sports medicine treatments for Greenville, Spartanburg & Anderson area patients. Improvements in the quality of protective equipment, such as padding and helmets, have made sports participation safer than ever. Even so, children’s bodies are still vulnerable to injury. As youngsters move through middle childhood and become bigger, stronger, faster, and more aggressive, the incidence of injuries rises. Studies show that each year, 2 percent to 3 percent of 5 to 7 year-old experience injuries that require more than a few days of rest and recuperation; that figure increases to 5 percent to 10 percent among 9 and 10 year-olds. Injury prevention should be a paramount concern: wear a well-fitted helmet, mouthpiece, face guard, padding, eye gear, protective cup, or other equipment. Adults often are more concerned about their children, but they should be equally prepared themselves. Make sure to spend enough time on conditioning, stretching, strengthening, warm up, and cool down. The majority of sports-related injuries involve the body’s soft tissues rather than the bones. About two-thirds of all injuries are strains (overstretching or overextension of the muscles) and sprains (wrenching of a joint with partial tear of the ligaments). Contact sports are much more vulnerable to serious injury, with the knees bearing the brunt of more injuries than any other part of the body. The ankles, shoulders and elbows are also particularly susceptible to injuries. Many sports injuries are caused by overuse or repetitive stress. 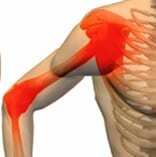 Overuse, as occurs with pitching too many innings, places stress on joints, tendons, ligaments and muscles. This can cause damage. Improper form can produce similar injuries. Stretched, torn or strained ligaments can cause years of pain and discomfort. Many people do not realize how severe or prolonged ligament pain can be. 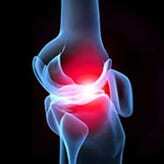 They assume that soft tissue will heal or that it can’t be that bad. While ligament pain may be confined to the injury site, it can also refer pain to distant body parts through a portion of the autonomic nervous system called the sympathetic nerves. Ligament pain can mimic nerve impingement, cause sensations of numbness and be the source of arthritis pain. It can be chronic, persistent, achy, burning and weather sensitive. Arthritis is another important factor in sports-related pain. While many people with arthritis have no pain at all, others obtain substantial relief by treating arthritis and its associated conditions. While exercise, anti-inflammatory medicines, muscle relaxants and physical therapy play important roles in treating arthritis pain, adding treatments that address all of the surrounding structures improves the outcome even further. Once an injury occurs, it needs to be properly diagnosed to receive the best treatment. Musculoskeletal Ultrasound, Xray and MRI are examples of medical studies that are used to confirm the underlying cause of sports injuries. In addition to recommending specific types of treatment, changing how the athlete performs or reducing the level of athletic participation for a while can allow an injury to heal. Improperly treated and incompletely healed sports injuries can set the stage for lifelong problems. When it comes to sports injuries “No pain, no gain” during competition may be a catchy phrase, but it is bad advice. “Slow but sure” makes a lot more sense. It is also important to identify environmental and training factors that can impact injury. Was the playing field in bad shape? Was there safety equipment used? Was training or fitness adequate? Was coaching poor? If these factors are neglected, injury is likely to reoccur. Fortunately, the majority of sports injuries are treated successfully. At Piedmont Physical Medicine & Rehabilitation, we work closely with you to assure a favorable outcome.